At 14, I joined FLOSSK, a nonprofit whose acronym stands for “Free Libre Open Source Software Kosova”, a not for profit organization that had just been conceived at that time – back then, a small group of people with one cause in common: that of free and open source software and knowledge. That cause quickly became my way of life, and an indivisible part of me. The first thing I did in FLOSSK, was getting involved in this mapping project. I remember those cold winters we spent mapping Prishtina’s streets with some malfunctioning GPS devices, that would only work on solar energy, for the sole purpose, of collecting enough data to build an Open Map for our city. We used to meet at our old, small place very early in the morning, we split up in groups, and started mapping. Things went well, except that the data we collected very often were all scrambled, because, of course (winter), there was not enough sun light required to keep the devices running during the whole day. However, we stick to it, because we wanted to create something that would have impact, free, open, and available to the public for communal use. The involvement in this community project, was what lighted a spark of interest in me, and it opened the doors to a whole new world. First, it taught me that working for a social good or for a community, is overwhelmingly awesome, and that the community provides opportunities that otherwise might not have existed. Let’s take the Open Source global community as an example of such a community. Communities like Mozilla, with now over 200,000 active contributors, who brought the free and open web into our hands. Or GNU/Linux, the free and open source operating system that runs about 90% of the Internet you use everyday. People usually get involved in these big Free/Libre Open Source projects because of knowledge earned, developing new skills, and the enormous feeling of satisfaction that comes from building something for millions. More importantly, the whole process of learning, experimentation, and experience are all priceless – you can’t buy them. That is worth more than money. 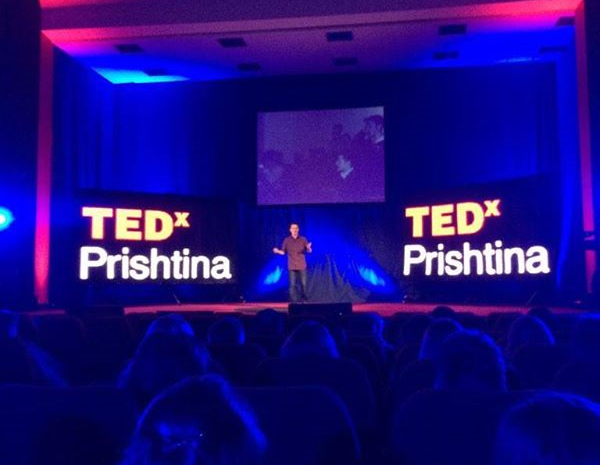 The current education paradigm in post-war Kosovo is long overdue for a complete re-structuring, and in the absence of good conditions, we found the power of the Internet as an opportunity without political, economic, and cultural borders; I was aware that the surrounding environment wasn’t going to give me what I was seeking. I believed that I had more potential, and I believed that I was capable of doing more. So, I and a lot of others like me, have chosen the DIY way, and the involvement in the global Free and Open Source movement – a place where we found no limitations, and an environment which would fulfill our creative potential. Being part of these communities, the experiences, and knowledge gained, changed my life and the way I think. From my first job at 16, projects and events we organized, and up to the successes in the US as an exchange student, were all possible thanks to the help of all the people around me – the community. The spark of interest became a fire, which drove this insatiable desire to change things in my local community for the good, and have been doing that ever since. Thanks to our involvement in these communities, we the self-motivated, tech-savvy citizens, have been able to introduce Kosovo to the global Free and Open Source movement, and more. We did the GLOCAL thing ( Global <=> Local), individually and together. Yes, Kosovo has Mozilla Representatives, we organize the biggest Free and Open Source Software Conference in Balkans, we have project ambassadors, we organize Barcamps for people to meet and share ideas, we contribute in Wikipedia through Wiki Academies to have more content about Kosovo on the Internet, we do Digital Diplomacy to help the integration of Kosovo in the digital world, and many other projects where we created close relations with international tech giants as well. In lack of a platform for local communication and cooperation, we also decided to open another big project named Prishtina Hackerspace – a physical, co-working, experimentation space where we can gather to share knowledge, work on projects, innovate, build and socialize. We’re working towards creating an environment for our community where the ideas and new creations are not to be spent in idle activity, non-productivity, and the creative potential is not to be misused or misdirected. And all this, doesn’t require a huge investment, but it can not be done alone! We are loving it, and we believe in our work – that’s all! We have learned not to be discouraged by our surroundings, but rather try to change them, because we can! That’s what I’d like to share with other people, that’s what we’ve been trying to do as a community. I believe in community work and people that are part of it – I believe in the potential and energy that we can represent, and I believe in the idea of Freedom – Free/Libre and Open Source ideology. I want to end by reminding you that only together as a community can we work towards a better future for the societies we live in. Remember: “I am what I am because of who we all are”, and so is each one of you!